On 1 December 2016, protesters rallied in the Indonesian capital to demand independence for West Papua. However, dozens of demonstrators were barred from marching in central Jakarta, as several hundred police fired water cannons and dragged several men from the crowd. 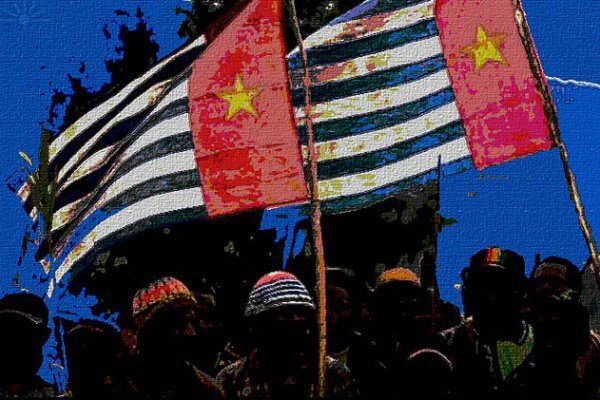 In the last few months alone, West Papuans have demonstrated countless times, calling for the independence of their homeland. Many of them see 1 December as the date which should have been the actual day of West Papua’s independence. West Papuan protesters faced off with police in the Indonesian capital on Thursday [1 December 2016] in a demonstration calling for the remote region's independence. Organizers had promised protests in other cities and said police had denied them permission to march in central Jakarta. The dozens of demonstrators were blocked from marching onto a busy traffic circle in the capital by several hundred police who fired water cannons and dragged several men from the crowd into waiting vans. After about three hours, they agreed to end the protest and were detained by police. "Don't hinder our right to voice our aspirations. Papuans are demanding the truth of our history," a speaker standing atop a small truck shouted at the crowd. Members of the Papua Students Alliance chanted "Freedom Papua" and others sang independence songs. Rights groups accuse the Indonesian military of serious human rights abuses in Papua and some Melanesian island states have also voiced concerns and called for Papuan independence. Many West Papuans see Dec. 1 as the anniversary of what should have been their independence. The Dutch colonizers of the Indonesian archipelago held onto West Papua when Indonesia became independent after World War II. It became part of Indonesia following a U.N.-supervised referendum in 1969 criticized as undemocratic. "They feel that the referendum back then in 1969 was a sham," said Veronica Koman from the Jakarta Legal Aid Institute. "There were 800,000 West Papuans at that time. West Papuans were promised one man and one vote. But instead only 1,022 turned up, it was set up that way. They have to vote with the military all over them and intimidation. It's illegal. And they want Indonesia to admit that and hold a referendum," she said. A low-level insurgency has plagued the mineral-rich region, which is ethnically and culturally distinct from much of Indonesia, for years. The Indonesian government, which for decades had a policy of sending Javanese and other Indonesians to settle in Papua, is now also trying to spur economic development to dampen the separatist movement.